Keeping things in the family, it is not surprising to see the Showa and Nissin suspension and braking components being used here (Honda owns both brands), and like on the Mugen Shiden, no expense has been spared when it comes to top-shelf components. For instance, if you look closely at the photos, you will see that the E.Rex is sporting carbon fiber brake discs, which most likely has little to do with performance, and has more to do with the fact that the Mugen E.Rex will be displayed at the Tokyo Motorcycle Show this weekend. Still, it’s impressive kit. The question of course is what Mugen and Honda plan to do from here. For now, the companies say that they plan to “explore the future potential” of an electric motocross machine, which can mean or not mean just about anything. 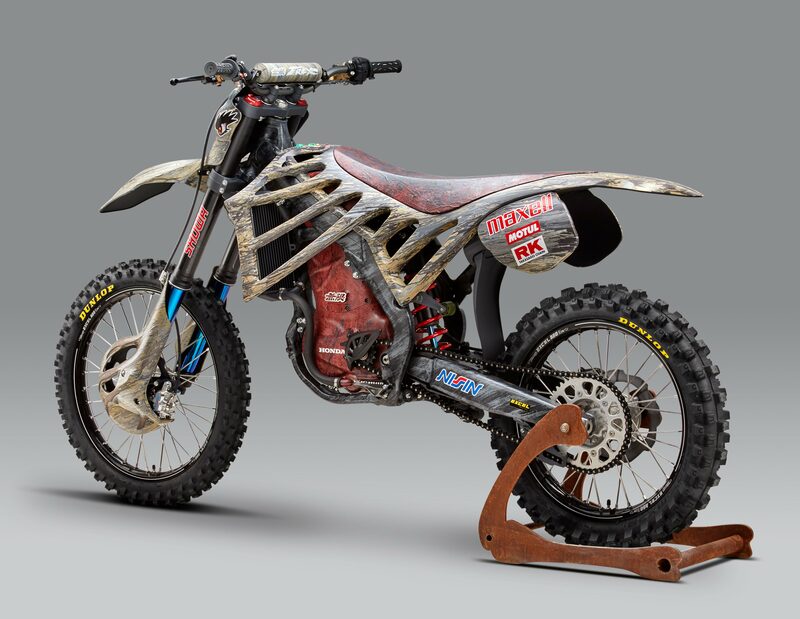 However, with several off-road racing series exploring the idea of letting electric dirt bikes compete in their racing classes, Honda and Mugen likely don’t want to see Alta and Zero taking over the space. The electric two-wheeled segment has been quiet for some time now, but seeing Mugen and Honda explore the idea of an electric dirt bike could be the shot in the arm this platform needs. Interesting times ahead. Thanks for the tip Jon!